We tattoo and pierce over 18 only with a valid ID. Valid ID is an non-expired identification that is state or government issued and contains your birth date. Some examples are: drivers license, state ID card, passport, or military ID. We are cash only with an ATM on site. 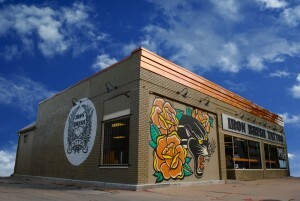 Is it true the artists at Iron Brush helped write the body art laws? Yes! We are proud to say that we helped spearhead the implementation of safety standards for the tattoo and body piercing trade. We worked with the governing bodies to help them write a much needed body art code. We first worked with the Lincoln Lancaster Health Department to write the health code which is in place for Lancaster County. Then, we helped the State of Nebraska to write the state laws for body art and safety standards that are now in effect state wide! I have heard you do a lot of community charity, when are you doing the next one? Do you use new needles, pigments, and jewelry? Absolutely. All needles are new. Always. All equipment is single service, which means that each needle and tube set is individually packaged, dated, sealed and sterilized. Ointments, pigments, needles, gloves, razors, plastic barriers, and ink caps used in applying your new tattoo are discarded after use. After the tattoo is finished, the artist disinfects the work area with a chemical that kills all viruses and bacteria. An autoclave. It is the only acceptable means of equipment sterilization in the tattoo shop. We have five autoclaves in our sterilizing areas. They work by using a combination of heat, steam, and pressure to kill pathogenic microorganisms. We keep detailed logs of the autoclave use, and our autoclave’s efficiency is tested and monitored by an outside laboratory. For more information, see our sterilization procedures page. How do I chose an artist? Our portfolios are proudly displayed in our lobby, and ON OUR WEBSITE HERE . We encourage you to look for a tattooer whose style you like best. We have an experienced crew of diverse artists known for quality tattoos. We can help you find the person best suited for the tattoo you are looking for. Do you have to be licensed to be a tattooer in Lincoln? Yes. We worked with the health department to develop health regulations for practitioners and studios. Getting a tattoo by an amateur in their home can be very dangerous, especially if they have no knowledge of sterilization or safe operating procedures. The money spent on a professional tattoo studio is well worth the assurance that the only thing you will get is a tattoo. Is there anything I should I do before I get tattooed or pierced? Yes, be well rested and eat well. Drink plenty of fluids. Bring your VALID ID and wear appropriate clothing. Mostly though, just relax and have a good time. Is there anything I shouldn't do before I get tattooed or pierced? How do I take care of my Tattoo or Body Piercing? Extreme weather conditions? What is your weather policy? Yes, Nebraska, the land of quickly changing weather, and our storms can be severe. Whenever possible Iron Brush Tattoo continues to function during inclement weather. 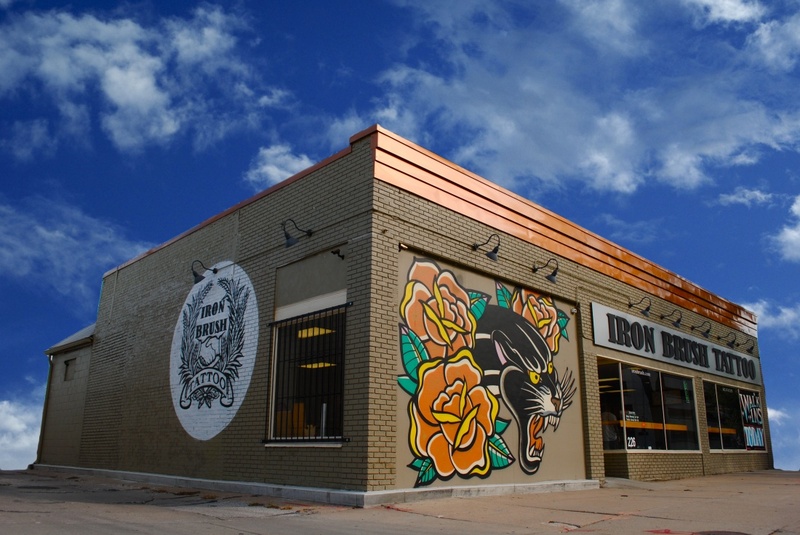 Scheduled appointments and available walk-in tattooers and body piercers will continue to the extent that our staff, our artist, and our clients are able to safely travel to and from Iron Brush. Our clients are urged to use caution and personal judgment in their travels to and from Iron Brush Tattoo. We want everyone to be safe! and if we close the shop, it is for the safety of our staff, artists, and our clients. We want what is best for our all involved. If you do not feel comfortable driving to or back from your appointment please call us: 402-474-5151 to reschedule. You will not lose your deposit if you call us and let us know the weather has kept you away. We want you to be safe. If your artist cannot make it in due to weather, they will notify you personally, and re-schedule with you the next business day they are able to make it into the shop. You will not lose your deposit if your artist re-schedules your appointment due to bad weather. Interested in being a part of the Iron Brush Crew or doing a guest spot with us? Can you make this tattoo smaller? Yes, we are skilled enough to make a tattoo really small and detailed, but that will not make a good tattoo. No matter who applies the tattoo, or how a tattoo is applied, the ink will migrate a bit over time. A tattoo is inside of skin cells and not on top of paper. Lines applied too close to one another will blur together, and in some cases alter lettering or destroy a design a few years or even months down the road. Your tattooer is a professional and we want your tattoo to look good. Of course we are skilled enough to make a very small tattoo, but not at the expense of doing a bad tattoo. A large part of the art of tattooing is to make a tattoo that looks good for a lifetime. Listen to your tattooer's advice and make your tattoo a size that will last and be enjoyed for years. Can I bring in my some pictures and reference material or my own design? Of course! We work with your ideas! Bring in whatever will help us get an idea of what you are looking for. If it is in digital format(on your phone), we recommend bringing in a hard copy(on a piece of paper) for your artist to make the best use of your time with your artist. Do people pick designs off the wall? Sure. That is a great way to get the correct reference to begin to make a great custom tattoo. All of the designs we have here are hand painted by tattooers. We have taken great time to find the best reference in the world to help you assemble top quality tattoo. This is the term for the designs on the wall. All of the flash at Iron Brush is hand painted by tattooers. A lot of our flash is drawn, inked, and watercolored by the tattooers at Iron Brush, the ones who will be doing your tattoo. Which means your tattooer has taken the time to develop his skills, efficiency, designing ability, and artistic prowess in tattooing. This is the sign of true craftsmanship. Our walls and books are filled with quality hand painted flash we proudly use daily in the tradition of all the good tattooers before us. What type of ID do you accept? A VALID State or government issued photo ID. Valid ID is an NON-EXPIRED identification that is state or government issued and contains your birth date. Some examples are: drivers license, state ID card, passport, or military ID. We are conveniently located at 226 S. 16th (16th and M Streets) in Lincoln NE. See our contact page for more info. The quickest way and most accurate way to get all your questions answered is to stop by the shop or you can also give us a call at 402-474-5151. Do you sell tattoo supplies? No. We do not sell tattoo supplies of any kind. We sell body jewelry and piercing aftercare.